I can hear the Haunted House music from my office at The Shops at Mauna Lani! In addition to the Haunted House, there will also be trick-or-treating around the shopping center, a keiki costume parade at 5 pm, balloon animals and face-painting, and a free Haunted Forest movie ride for keiki in costume! 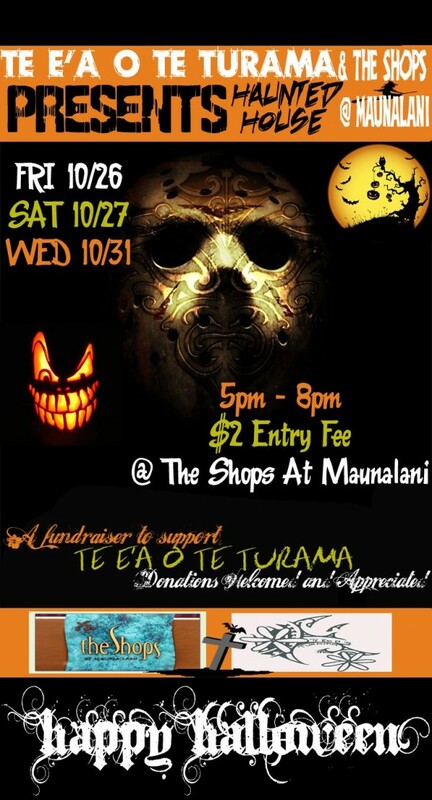 The Shops at Mauna Lani is the place to be on Halloween night!